Netflix CEO Reed Hastings has been speaking about the future of Netflix and reckons movies will be rivalled by something altogether more pharmaceutical. Speaking at the WSJD Live, the Wall Street Journal’s annual digital-focused conference, Hastings said that movies and TV shows may be big business now but they will eventually go the way of books, noting long term "movies & TV shows will be like the opera & the novel... There will be substitutes." A pill that entertains you, eh? A thousand sweaty, hugging 3am clubbers may already believe that such a pill already exists but we think Hastings is on about a pill that will take you more on a trippy movie-like journey. Actually, we think there may already be a drug that does that too but Hastings must be talking about a drug that is a whole lot more, well, legal. 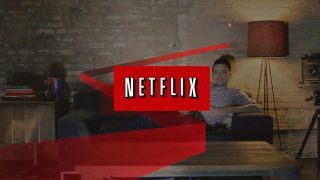 Thankfully, Hastings isn’t waiting for the drugs to kick in before making Netflix even better noting that "fundamentally we're about eliminating loneliness and boredom" and that Netflix is focused on making high-end content and not going down the “low-end” YouTube route. Anyone who has seen the Netflix-exclusive Adam Sandler movies may well disagree, but there is plenty of decent stuff on the site, just check out our *cough* plug *cough* extensive best-of lists.